I sometimes get hit by a mid afternoon slump and fancy something sweet but I like to make sure that the sweet treat is also good for me. Yesterday I was tired from a busy few days so didn’t want to have to go to much effort. 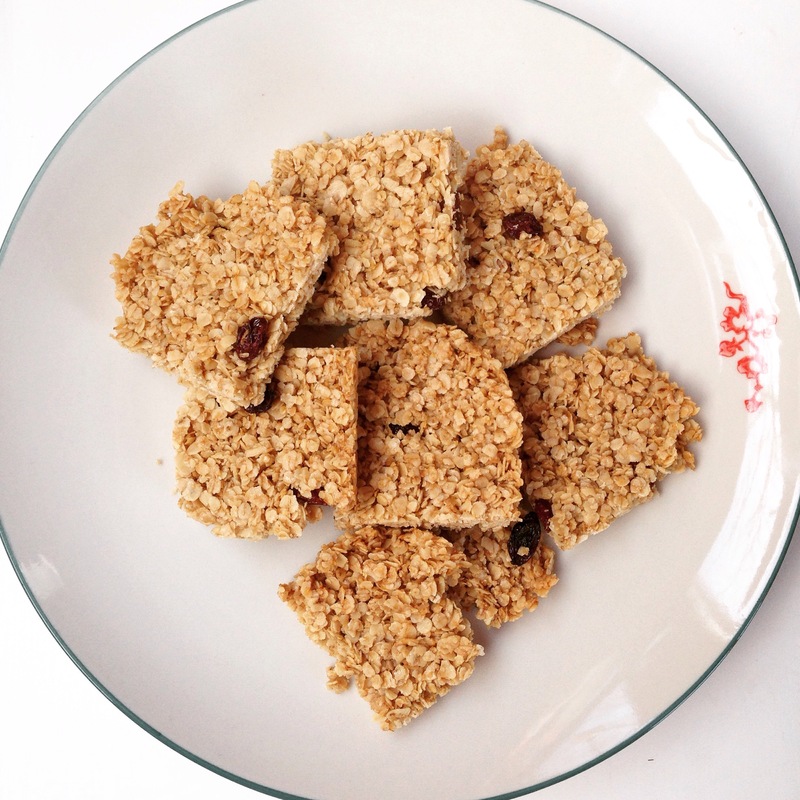 These flapjacks are super easy, use only 4 ingredients and yes they are good for you! Delicious with an afternoon cup of tea. Preheat the fan oven to 170 degrees. In a large bowl mix all the ingredients together. The mixture might appear slightly dry but this is ok. Transfer to a 20cm X20cm baking dish and pat down firmly. Cook for 20-25 minutes. 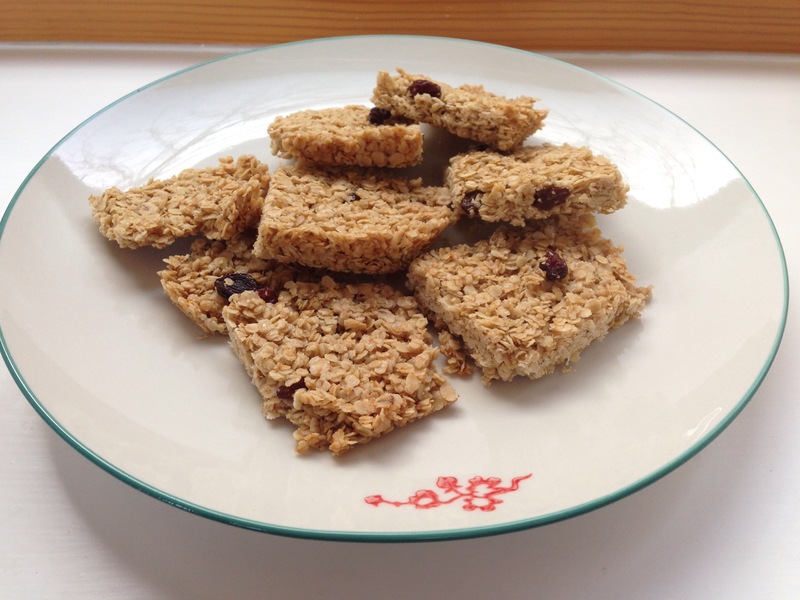 Remove from the oven allowing the oats to cool fully before cutting into individual squares. They can be crumbly so cut gently! Store in an airtight container. If you have a tendency towards certain less healthy foods, for example sugar, salt, processed foods, take outs or caffeine, there’s some good news. . it’s possible to retrain your tastebuds! Our tastebuds renew every 14- 21days enabling us to slowly adjust or change our taste preferences. We can effectively teach ourselves not to desire certain foods to the same degree, but instead develop a taste for the healthier foods which you choose to switch to. I used to be a chocoholic ‘needing’ at least one chocolate bar per day. I’d be like a child cuddled up on the couch savouring every bite. Since starting this cleaner way of eating my desire for sugar has much reduced. I definitely don’t take chocolate daily and I find most regular bars, buns, cookies and cakes far too sweet. Over the few months my taste for sugar has reduced and therefore my desire diminished. This is good news for anyone who is keen to improve their diet but has cravings for certain less nourishing foods and finds it’s difficult to stop eating certain foods. A gradual and continual reduction of foods which you over consume and within a short time your cravings become less frequent and you naturally start eating a healthier and more balanced diet. My husband is a prime example of this. Prior to me going vegetarian he was a meat man, three meat based meals a day was his idea of good food. He still eats meat but much less. He really enjoys cooking and eating vegetarian dinners and his breakfast of choice is a nutribullet smoothie. It’s possible to make the switch if it’s something that you want. Interesting post Blushing Beetroot, I’m currently trying break my caffeine/carbs/sugar/chocolate habit!! Reassuring to learn that I can retrain my taste buds and hopefully change bad habits!! I have avoidant peiatnslroy disorder/social anxiety. I am extremely sensitive to criticism, have terrible performance anxiety, no confidence in myself & can’t bring myself to go to a job interview. I have low self esteem, am horribly ashamed of my disorders, humiliated that I can’t support myself & do not have any money for therapy or self help materials.I am 25 & do NOT want the stigma of mental illness to follow me my entire life. I am not unstable & I have a Bachelor’s Degree in Business Management, I would like to think that I might be able to work someday or get insurance so I can’t have mental illness on my record. Do you know of any free resources?Thank you.